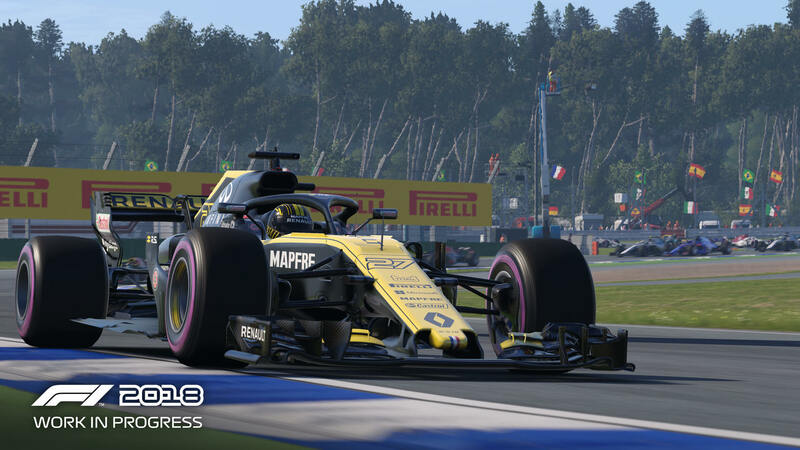 Codemasters has released its second official gameplay trailer for F1 2018, this year’s official entry into the long-running Formula 1 racing game franchise. This trailer uses stunning in-game footage with plenty of action taken from both on and off the track. It’s also accompanied by the new official F1 theme music as seen on the official broadcasts of Formula 1 on television, written by composer Brian Tyler – who has also worked on Avengers: Age of Ultron, Iron Man 3, and Fast & Furious films. F1 2018 debuts on Friday, August 24th for Xbox One, PlayStation 4, and PC. It takes advantage of the technical specifications of the Xbox One X and PS4 Pro consoles to deliver 4K and HDR visuals. F1 2018 also features all the official teams, drivers and circuits of the 2018 season, including the return of the Circuit Paul Ricard and the Hockenheimring. As well as this season’s line-up of vehicles, there’s a total of 20 historic classic cars from past years of the sport. For more on F1 2018, be sure to check out our in-depth 40-minute video on the Career Mode to discover its various improvements and changes, as well our story on how this year’s entry into the long-running series delivers the best handling and simulation models in the franchise yet.